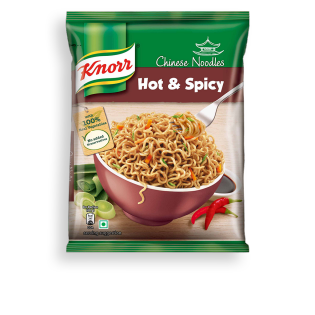 Knorr now brings to you tasty instant noodles in the most wanted flavour of Chinese Hot and Spicy. Your favourite instant noodles are now available in this amazing flavour to entice your senses with a blast of spices. Knorr Chinese Hot & Spicy Noodles is a perfect tasty hunger solution to every mood and occasion. What's in our Hot & Spicy?